Welcome to a little slice of paradise. 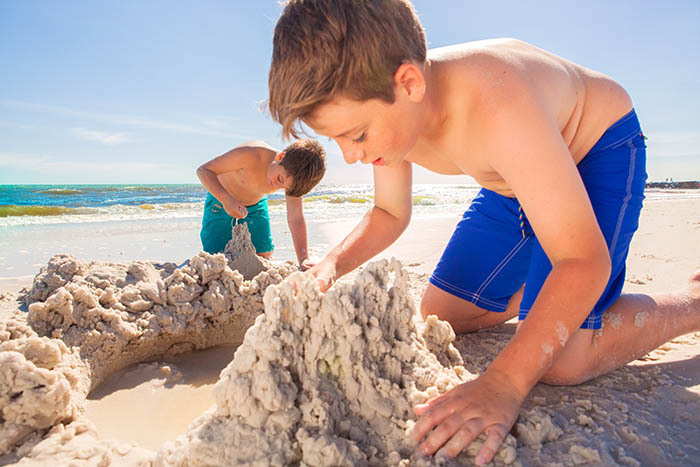 Our quaint beaches might have a small stretch of just a few miles; however, our colorful community of Mexico Beach, Florida, is rich in character and unlike any other place on earth! 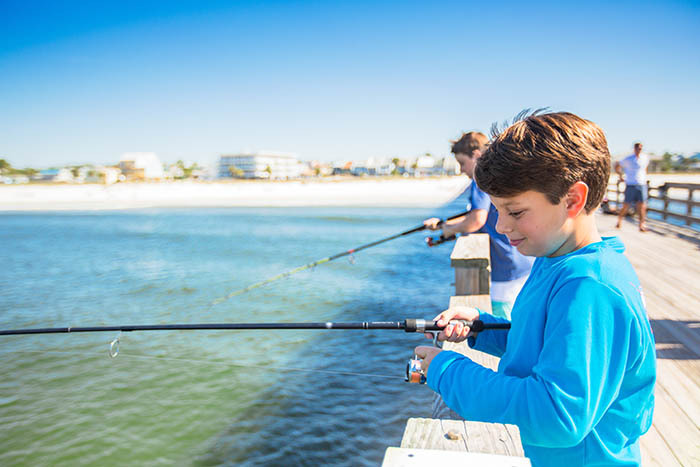 Taking pride in small-town, old-fashioned atmosphere but with all the modern luxuries of today, our preserved natural landscapes and the beautiful Gulf of Mexico create the perfect setting for a family vacation or a romantic getaway. 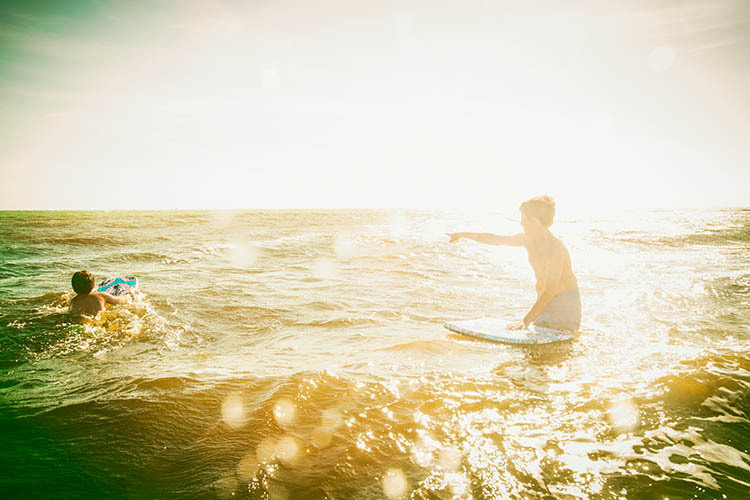 From the food to the people and the adventures along our white sandy beaches, it’s always a good time in Mexico Beach. Think of it as small town with big charm! For all who visit, this perfect little beach town is where those lasting, fun memories are built and the boundless view of the Gulf waters are most beautiful—but what else do you know about this intimate town? 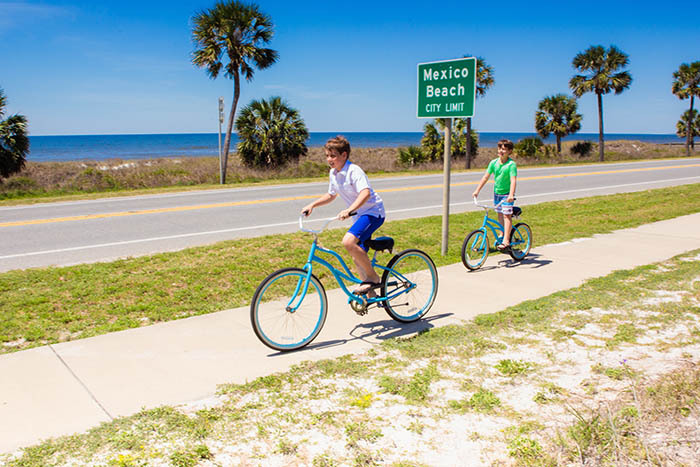 Here are seven fun facts about Mexico Beach—also known as The Unforgettable Coast! Let’s start with our name. We’re called “Mexico Beach” because our beautiful beaches border the Gulf of Mexico. The Gulf, which is almost entirely surrounded by North America, has a relatively narrow passage to the Atlantic Ocean via the Florida Straits and the Caribbean Sea. This narrow pass and surrounding landmass makes its waters well protected—usually mild and very warm compared to oceanic coasts—perfect for your Florida beach vacation! 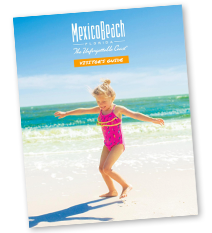 Never have you been so close to walking from one time zone to another until you visit Mexico Beach! The border between Mexico Beach and the neighboring town of Port St. Joe is actually the edge of the Central Standard Time Zone to the west and the Eastern Standard Time Zone to the east. If you’d like to take advantage of this unique place, visit during our annual New Year’s Eve Celebrate Twice event and count down to the new year in Port St. Joe, then take the free shuttle back to Mexico Beach and celebrate all over again one hour later! The first thing that comes to mind when it comes to Mexico Beach in most cases is our naturally white sand beaches. Unlike the majority of the world’s beaches, which are usually made up of approximately twenty different materials, our sugar-white sands just contain one—evenly sized quartz crystals. These crystals filter down all the way from the Appalachian Mountain Range and travel for hundreds of miles before they pour into the Gulf of Mexico just east of Mexico Beach from the Apalachicola River and are spread out across our beautiful Gulf beaches. Mexico Beach is also known for its ecotourism and wildlife sighting opportunities. In fact, it’s pretty common to catch a dolphin jumping through the waves during the day or at sunset. Other sea critters to keep a lookout for include sea turtles, manatees, sportfish, urchins, starfish, crabs, and sand dollars. On land, you might spot the classic American alligator, Florida black bears, deer, and various other wildlife. Mexico Beach is also a popular host for numerous bird species such as bald eagles, osprey, pelicans, and many species of herons and egrets. Be sure to bring your binoculars and keep a tally of the birds you spot flying around! Making it easy to underwater sightsee and explore into the blue is our abundance of artificial reefs. Since 1997, the Mexico Beach Artificial Reef Association (MBARA) has developed an extensive reef system to conserve and restore reefs that have been lost. Unlike those common neutral-colored fish that frequently swim near the surface along the Gulf Coast, should you go choose to take a plunge to go scuba diving, snorkeling, or even fishing along the reef system, expect to see exotic, colorful fish, sportfish such as snapper and mackerel, turtles, jellyfish, starfish, and other sea creatures. Visiting Mexico Beach gives you that pleasant feeling that you’ve just stepped back in time. Our humble little town seems to cast that spell on everyone. That’s because all of the shops are locally owned, one-of-a-kind establishments instead of big chains. It adds character to the area and helps you get away from all the noise of fast food, huge shopping centers, and high-rise condos. Escape to a quiet and relaxed lifestyle where nothing will block your view and the stress of everyday life disappears. That’s right! In Mexico City Beach, you won’t have to get caught up on traffic lights. Completely disconnect from all of the stress of crowds and the obligations of work. Unplug from technology and enjoy time spent with family and friends as you give way to a breezy, relaxed beach getaway. Ready for a visit to see Mexico Beach, Florida? We hope you’ll join us soon for a Florida summer vacation! Visit our Calendar of Events to see other fun things going on here at the Unforgettable Coast!